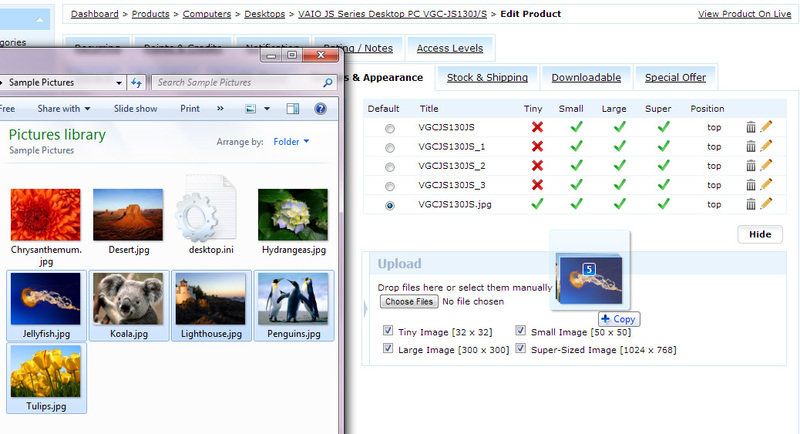 Images & Appearance tab on Edit Product page has a new user-friendly interface. 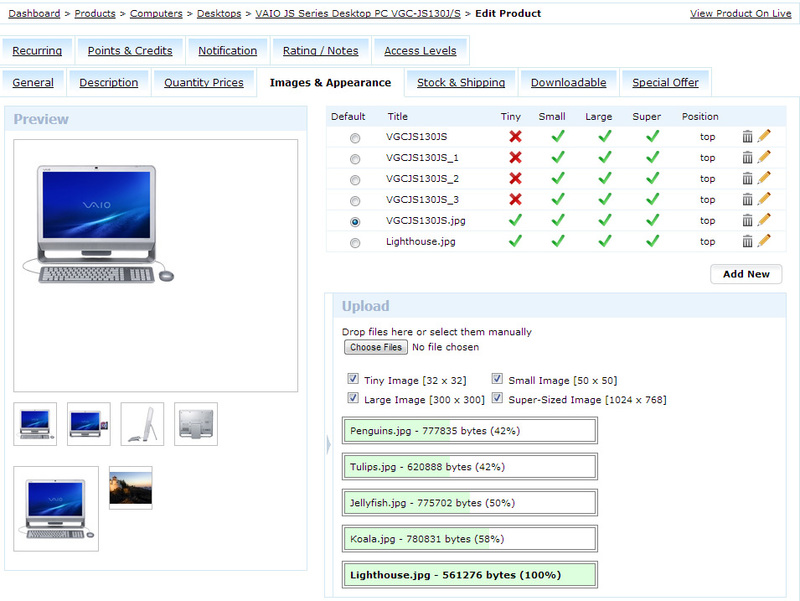 Now with the help of ajax technology you can upload and resize multiple product images at the same time. Click on Add New Image button or the restangular bar with the arrow. In the sliding bar specify image size if needed and either drag and drop files or click "Choose Files"
Note, you can select as many images as you want, all of them will upload and resize simaltaniously. When multiple image upload is started you will see the progress bar. To edit an image, for example to specify Alt tag or change sorting order, click on the pencil icon in the images list. One more image related option is Images Type: "Keep canvas ratio" or "Fit on canvas using background color". This option is selected in Settings > Products > Products Settings > "Images" tab. 'Keep canvas ratio' means keep default proportions and 'Fit on Canvas' - make all images the same size by filling empty space with background colour.